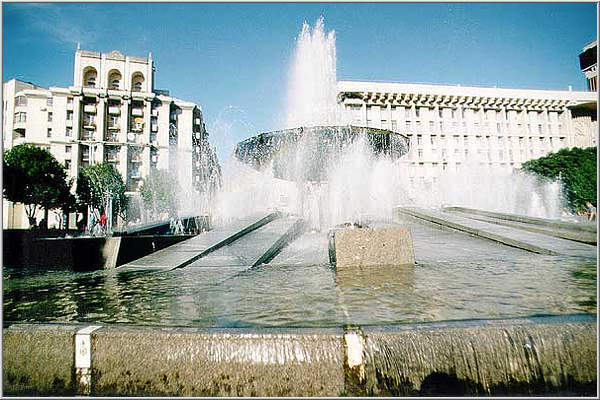 Fountain on Maidan Nezalezhnosti (Independence Square). This fountain does not exist any more. It was demolished during the reconstruction of 2002.